Outsourcing segments have evolved greatly over the past 20 years around the globe. 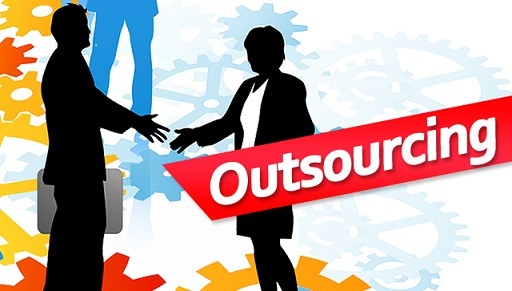 The dynamics of global outsourcing business are changing and it will directly put impact on the future of the outsourcing companies in India & other countries in the next 10 or 15 years? It was all started with small IT call centers in India and Bangladesh which has now turned into a multi-trillion dollars industry. In today’s times, many companies are finding it harder to meet the challenges of a globalized world economy while relying only on their internal resources. They often have to look beyond their own geographies for more cost effective and capable sources to outsource their functions. According to the recent studies, Outsourcing Companies in India are the world’s biggest outsourcing destination in terms of cost-effective attractiveness and professional business environment. India has been rated on the top out of the total 55 countries participated in the study. China, Malaysia, Brazil, Indonesia, Thailand, The Philippines, Mexico, Chile and Poland respectively made up in the top 10 rank list.As 2017 approaches, there is a relentless progress & transformation in continuation as the result of use of Technology in different ways. We can see a huge trend of intelligent automation. Undoubtedly, this could displace the leadership of the likes of India and China in outsourcing. As said by study experts, such trend of intelligent automation and robotic process automation will take a step function ahead for certain outsourcing providers, displacing existing commercial outsourcing company structures. It will also be bringing down costs in the market. According to many industry experts, there has been continuous maturation in cloud computing, robotic process automation, and cognitive capabilities.Mostly consumption-based technologies, delivered through the cloud are considered cost-effective largely and hence will be growing. Apart from IT Outsourcing, medical & healthcare outsourcing industry future transformation is not a different story. Many huge pharmaceutical brands will launch their new drug segments in the market at very less cost by joint partnering with companies in India, China, and Russia for special operations like molecular research and clinical testing. India has also a huge market in pharmaceuticals, in terms of clinical research and manufacturing operations. Knowledge Process Outsourcing is the vertical that will continue to shine and India is emerging as a global hub for the same. Indian outsourcing companies will continue to excel in services like KPO, content writing, legal advisory & medicine. Infrastructure Management Services including wide range of management services for IT infrastructure, application operations, IT security and maintenance; is another outsourcing vertical that presents great potential for India.The forthcoming years will be the time of uncertainty in US & UK due to the political crises in markets for the outsourcing industry in India & other potential countries. The new administration in the US could have an impact on trade agreements, regulations, tax policies, visas and immigration. This all can largely put impact on outsourcing trends. However, information and data security, advanced security automation, threat intelligence, and security analytics solutions will continue to be a major concern around the globe. Also, in Indian local Outsourcing Industry, we can see a big change of preference to companies moving towards smaller cities other than metro cities where the labor costs are relatively higher. However, outsourcing services in India are mostly preferable by rest of the world countries while finding the right partner for their needs due to many great advantages. Cost effectiveness, High quality of human capital, expertise across domains, business models ranging from the traditional on-shore, off-shore & near-shore to emerging models with legalities & outcomes and business intelligence with analytics are the major attractive reasons. Though India continues to be the big preference in the outsourcing business, South-east Asian countries like Indonesia, Malaysia, the Philippines, Singapore, Vietnam and Thailand, which are also improving their positioning in the global outsourcing potential rank can give tougher challenges in the near future and need to be addressed carefully.